Mentor Graphics’ Valor MSS is one of the most efficient tools available for PCB assembly, and offers complete end-to-end functionality. Below are three of the most important aspects that make Valor MSS the go-to PCBA assembly solution. Valor MSS features the Shop Floor Operator tool which can be used to create a schedule for the machinery within a workshop. This information can then be put into a visual schedule, as well as integrated into shop floor control applications. The auto-assembly session can also be utilized to generate programs for supported SMT placement machines. The SMT programming sub-module is a complete SMT programming solution for all supported machine models, and includes features such as part data models, Virtual Sticky Tape, offline process simulation, auto-generation option and a multi-vendor line. Click here to see a demo. Valor streamlines the assembly process through consolidation of all the common tools required in PCB assembly. It can be used for data preparation, stencil design, assembly documentation, among many others. Valor eliminates much of the clutter and confusion created by the multitude of different programs normally required in PCB assembly. Valor takes the danger out of component verification, by taking the risk out of the hands of the manufacturer through utilization of material registration tools. Valor’s intelligent barcode system is able to get crucial vendor information about each and every component that comes into the shop. Information such as quantity, internal part number, manufacturer part number, supplier, and the material’s RoHS level is easily accessed through the material registration process in Valor. 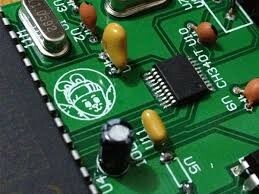 Through material registration, the manufacturer is able to verify to almost 100 percent certainty that the parts and material received are appropriate for your PCB design.